We know that it helps to have the right knowledge in any situation. Here are our answers to frequently asked questions. Throughout the hot and cold seasons, your shingles expand and contract. This process can cause small gaps to form, the adhesive of the silicon to deteriorate, and your shingles to shed its granules. The result is that your shingles soften and/or weaken and become more vulnerable to storm damage. Generally, it’s best to have one of our licensed adjusters assess your roof every eight years. The Texas Department of Insurance recommends that after your home has suffered a loss, you should take three very important steps. Final Cut Roofing and Construction, LLC can professionally assist you with every step of the process. Does a claim raise my premium and can my insurance company drop me? Insurance companies recognize two types of claims, a peril and a hazard. Generally, wind storms, hail storms, lightning and other catastrophes fall under the category of perils. These perils may not necessarily raise your premium and/or your insurance company may not necessarily cancel your policy. This is because there may have not been any steps that you could have taken to prevent them from happening. However, we recommend that you contact your insurance agent to discuss your policy. How long does it take for my insurance company to process a claim? After placing your claim, your insurance company is obligated to respond within 10 business days. If a loss has accrued, your insurance company must provide you with a portion of the expenses within 30 days. You have one year from the date of loss to file and/or collect all of your insurance proceeds. In some cases, your insurance company may allow a three to six month extension with a written request. Insurance companies are eager to process your claim and close within 6 to 8 weeks depending on how fast you are able to make repairs. What is the length of time for a full roof replacement? Subject to city ordinance, we can begin work at 7am and begin operating heavy machinery at 8am. Our installers end their work half an hour before sunset. Typically, to remove and replace one layer of shingles on a one-story house will only take us just one day! Facing unexpected additional construction or large roof replacement projects will take no more than two days. This includes a thorough clean up. We proudly offer services in Collin County, Denton County, Dallas County, and Tarrant County. Visit our Coverage Area Page for a more refined search of the areas that we cover. If you don’t see your city in our Coverage Area, please visit our Contact Us Page or give us a call toll free at 1-888-618-3271. Do I need to be present for the free inspection? In order for our licensed adjusters to provide you with the most accurate assessment, it may be in your best interest to be present during our inspection. There may be vital questions that can be of concern to you regarding your your property, in which we might need to discuss in person. We are committed to providing convenience to our customers by working around your schedule. Is it safe to place a second or third layer of shingles on top of each other? At Final Cut Roofing and Construction LLC, we are invested in the appearance and functionality of your roof for the life of its expectancy. We strongly discourage “Over-layering” due to the fact that this increases the weight of your roof dramatically. This can cause a tremendous amount of permanent, irreversible cosmetic damage to your roof or your attic structure. What are the benefits of proper ventilation? Increasing the amount of proper ventilation in your attic can significantly reduce the cost of your utility bill and dramatically prolong the life span of your shingles. Our professional recommendation is solely based on the shape of your roof and your specific needs. 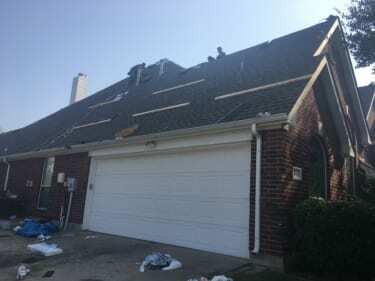 What are hail impact resistant shingles and how can I benefit from them? Hail Impact Resistant Shingles are designed to resist the effects of severe weather such as wind and hail. These shingles meet Class 4 requirement which is set by the Underwriters Laboratories and the American Society for Testing and Materials. Some major insurance companies may offer a homeowner’s discount for using shingles that receive a Class 4 rating. 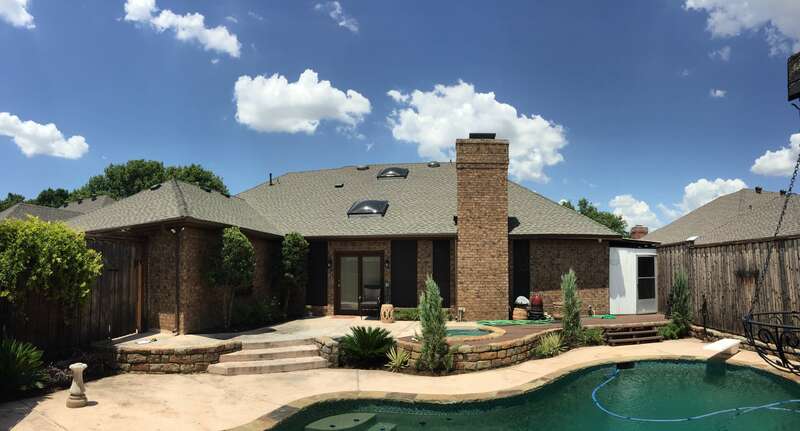 Ask us for details about Class 4 shingles today or learn more about Qualifying Products for Impact Resistant Roofing at the Texas Department of Insurance.